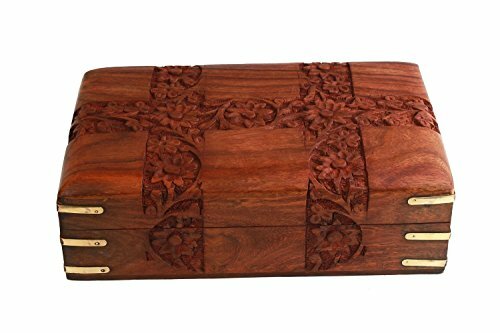 Handmade from finest rosewood by skilled artisans from Saharanpur, worldwide famous for creating magic with the natural wood for years. 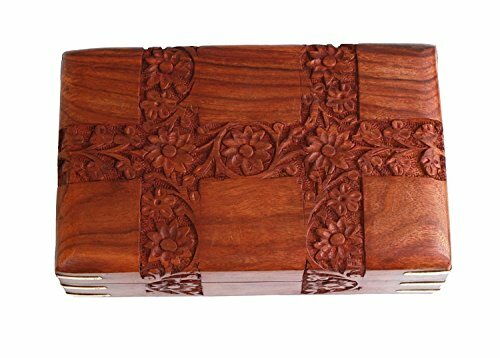 Exquisite box to store your personal jewelry in royal style or use it as a keepsake box for favorite pearls, herbs, stones, incense, family heirlooms, tarot cards, stamps etc. 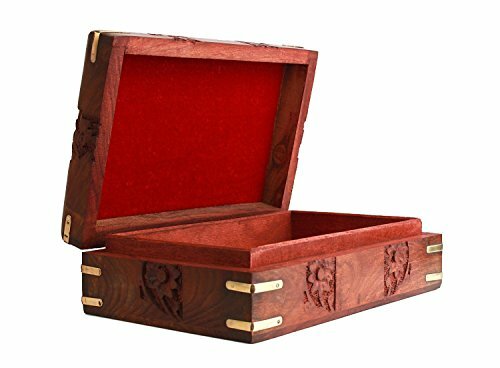 Internally lined with rich red velvet, features intricately hand carved geometric floral patterns with brass angles at corners. Rosewood has a beautiful finish and looks lovely. 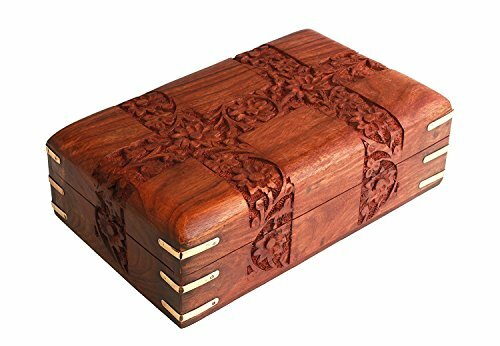 This jewellery box is something I would love to have. I love the designs on this box! This sure is pretty ! It’s different than any other box I’ve seem!